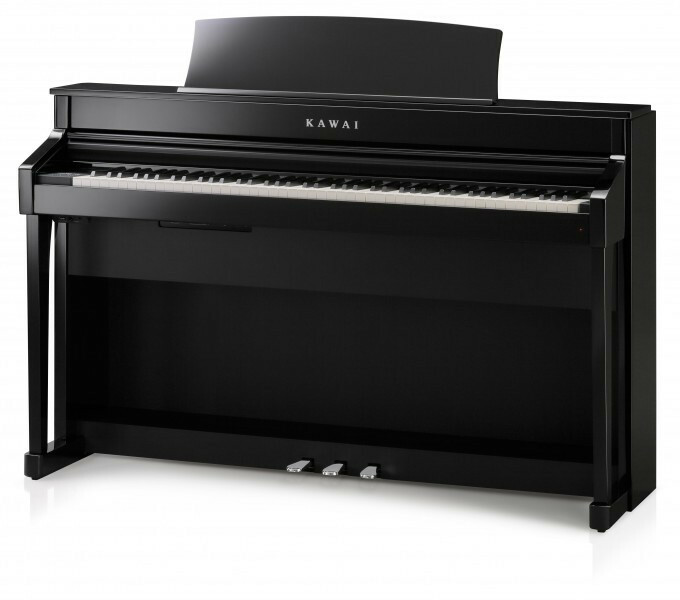 This piano features Kawai's advanced Grand Feel II action with extended wooden keys, rich, expressive Shigeru Kawai grand piano sounds reproduced using Harmonic Imaging XL technology, and a handsome polished ebony cabinet. Crucially, the wooden keys are longer than any other digital piano action on the market and the pivot point distance matches that of a Kawai grand piano. When the key is depressed, the hammer is thrown at the same velocity as it would be in an acoustic piano, with each hammer carefully graded in terms of its weight and size. This results in a playing experience which replicates that of an acoustic grand piano. The CS8 is an exceptional instrument that plays as beautifully as it looks and will transform enthusiastic players into accomplished pianists, and modest rooms into grand concert halls. It is an outstanding digital piano!